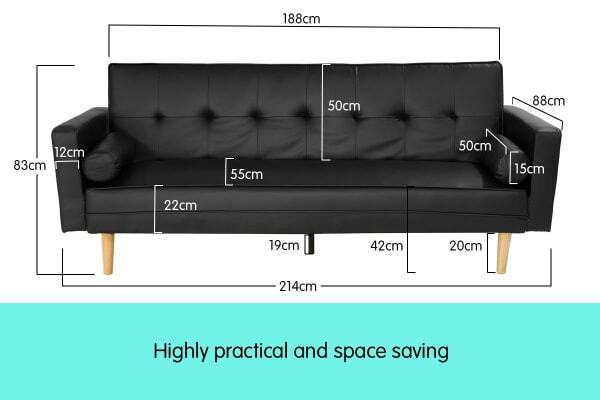 Measuring (w) 214cm x (d) 88cm x (h) 83cm, this sofa bed features wooden frame as well as pillows and comfort seating to provide a sofa that’s truly comfortable to sink back into and relax. 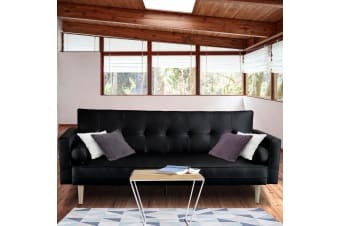 It’s easily convertible into extra bedding space for your visitors, this is designed with multi functionality in mind. 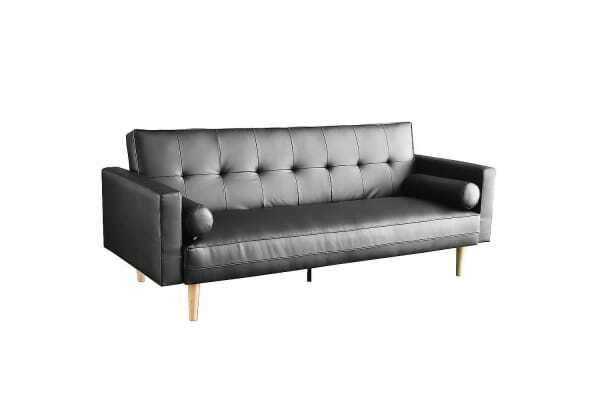 It features faux leather upholstery with thick cushioning providing superior comfort. Highly practical and served with a contemporary flair.